The opening ceremony took place at the host hotel, with directors, municipal and state authorities, and chefs. The evolutionary and formative character of the event was highlighted; it’s considered among the Top Ten on the world culinary scene. 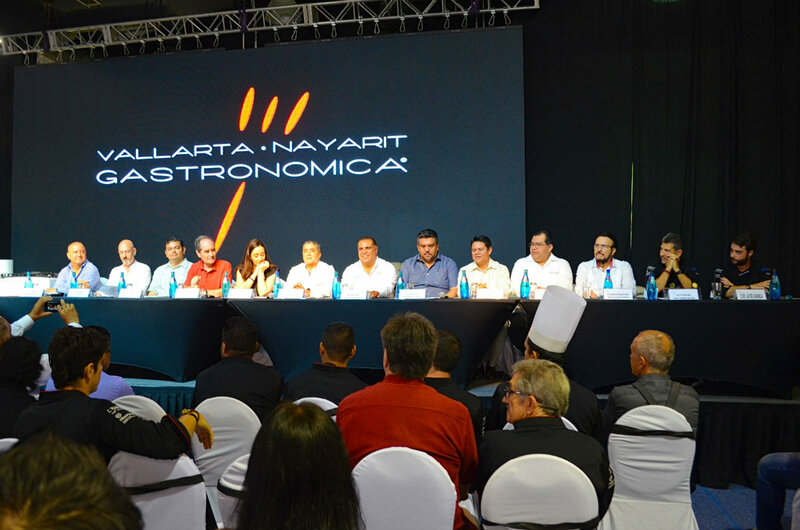 The ninth edition of the 2017 Nayarit Gastronómica kicked off with the participation of the top exponents of international gastronomy and a call to learn from the best chefs and sommeliers while disseminating the local gastronomy throughout Mexico and the world. 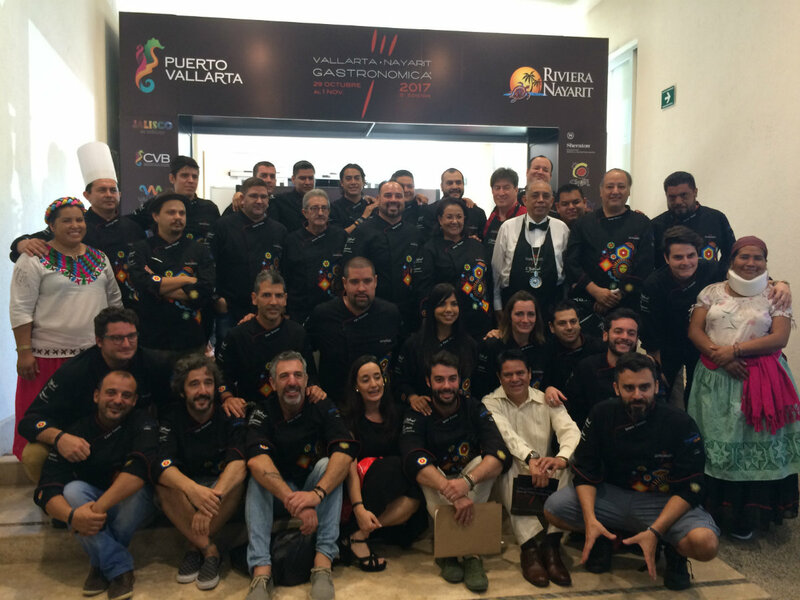 The 2017 VNG brings together for the first time 13 chefs with Michelin stars and 21 Soles Repsol, along with sommeliers, mixologists, panelists and panelists in a grand event that joins gastronomy and tourism with the Riviera Nayarit and Puerto Vallarta as the stage, both destinations that have deep-rooted culinary traditions. The opening ceremony took place at the host hotel, the Sheraton Buganvilias, with directors, municipal and state authorities, chefs and hundreds of culinary students and professionals in attendance. Carlos Elizondo and Consuelo Elipe, directors of Grupo E-Consulting and the organizers of the 2017 Vallarta Nayarit Gastronómica thanked the attendees at this event that reinvents itself year after year and is committed to endorsing gastronomy without losing its vocation for training. On his part Elizondo highlighted the evolutionary character of the event, which is currently among the Top Ten on the world culinary stage, and made a call to the young people present to reinforce their knowledge and learn from the chefs and sommeliers while enjoying every minute of it. Nemesio Castañeda Coppel, Deputy Secretary of Tourism for Nayarit, and Ludwig Estrada Virgen, Director of the Tourism Department of the State of Jalisco in Puerto Vallarta were in attendance representing the state and municipality, as was Arturo Davalos Peña, the Municipal President of Puerto Vallarta. Marc Murphy, Director of the Bahia de Banderas Hotel and Motel Association and of the Riviera Nayarit Convention and Visitors Bureau was also present, along with Javier Aranda Pedrero, Director of the Puerto Vallarta Tourism Board. 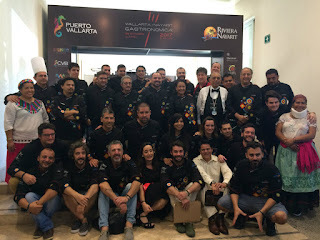 Miguel Benzo Perea, Spain’s Consul in Mexico based in Guadalajara, represented the guest country, as did Spanish chefs Paco Roncero and Javier Aranda. 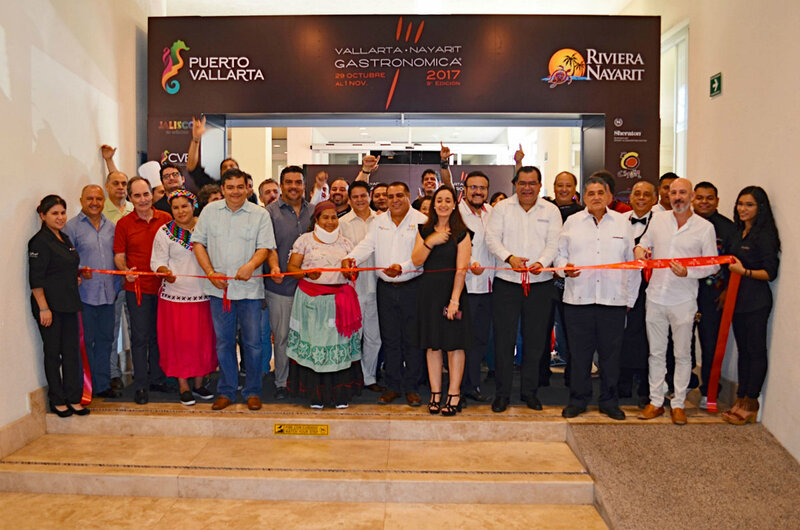 The Vallarta Nayarit Gastronómica, organized by Grupo E-Consulting, is taking place from October 29th – November 1st with tastings, conferences, workshops and showcookings led by prestigious chefs from Mexico, Spain, the United States, Argentina, Ireland and the Dominican Republic. 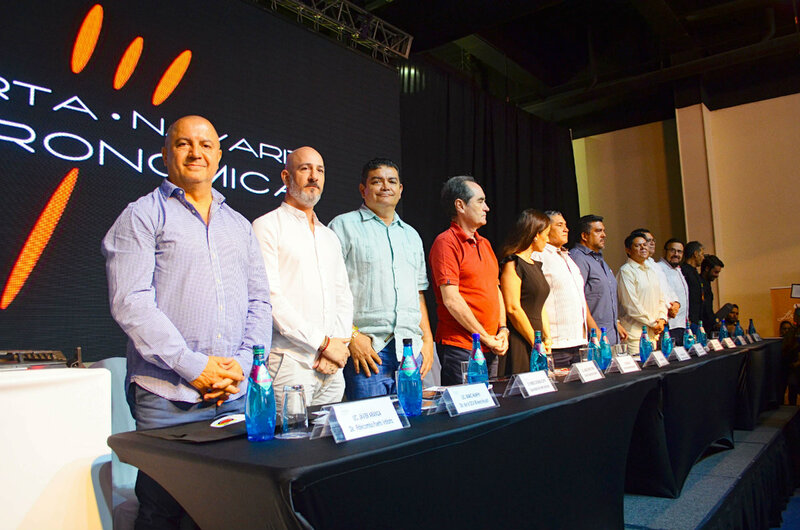 This year’s invited states are Morelos and Guanajuato; the latter will be represented by chef David Quevedo and two of his traditional cooks: Consuelo Venancio y Lourdes Camarena; Jalisco and Nayarit will host this culinary event. On the international front, Spain is the guest country, which will be well represented by some of its best chefs. There will be two areas with Premium Tastings and Gourmet Workshops held simultaneously at the host hotel in order to allow for all of the participating brands to have their demos, plus there will be conferences on trending topics and important workshops led by specialists.